It’s always tough to give advice on career success factors because there isn’t really a set of formula you can follow that can guarantee career success. A combination of various factors in the right context and with the right character will give your career a boost. For senior executives, these 5 career success factors will probably work more as a reminder. 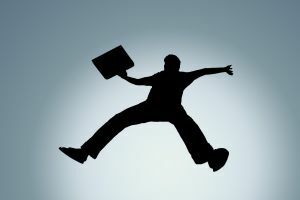 For career newbies,especially if you are in your first year of work – these factors will be your guide to a career boost. Like all career advice I give, do not expect instant results. Practiced often and you will see the results. Do things NOW! Do not procrastinate. Nothing irks a manager more than a newbie at work that is already showing signs of lazing or taking short cuts. Attack your work immediately. Have a plan of attack to the work that is assigned to you. Without procrastinating you can finish your work much earlier. This allows you to be assigned more work. As the trust with your supervisor increases, he/she will assign you more and more important work. Make a decision now to put in place a plan for this career success factor. Never leave a meeting without clear next steps that you are required to complete. A date of when the work is expected to be completed by you is part of this next step. This also applies to your discussion with your supervisor. Always seek to clarify what’s needed from your end before you leave the discussion. If you are lucky enough to be chairing any meetings or are a project leader, remember that listing the set of next steps or action plan is your responsibility. When you have clear next steps; who and when the task should be completed, you become productive. You get a career boost when you are productive. It is one of the easiest career success factors to practice. No, I do not mean giving notice. Notice here means being a keen observer of things around you and people. Now, it doesn't mean being nosy and to start gossiping. Every office has their dynamics. Do not be pulled into the politics that can hurt your career at an early stage. Notice here means to observe and to take note of things. When you notice things you become more careful. You also become better at knowing how things work in the office. You will blend in better. Notice and learn what are the norms of the industry, the ethics and the legalities. Notice the corporate culture and who is in charge. Sometimes those truly in power are those who can influence the bosses. Amongst all the career success factors, this is probably one that is the easiest to do. Being nice doesn’t mean you go around volunteering to make coffee for your colleagues. It can mean very simple and sincere greetings of “Good Morning.” It can also be a pleasant smile. You need to be mindful to do this in order to transfer it to your colleagues. Ever noticed some people smile and greet for the sake of doing it? You can’t really feel that they mean it? All else being equal, being genuinely sincere and nice can give you a career boost. One sub point I would add to this is to be neat. This means being organized, clean and orderly. As a freshie with these efficient behaviors, you become nice to work with, as you are productive. Sure, you are new to the industry. There are very few people you know. But that should not stop you from finding out where people hang out and when. Start with your colleagues first. Where do they go for lunch? To network at a smaller scale is to get your face recognized. Then you can work on getting your name known. There is a caveat to this, while networking is one of the important career success factors - make sure you deliver good work. All the networking cannot give you a career boost if you do not deliver good work. 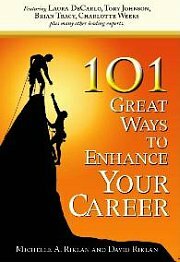 These career success factors work well for career newbies and can give you a career boost. But remember to seek to do great work first before thinking about how you can boost your career.